Following Charles-Philippe’s enjoyable review of the Nub Connecticut, I was looking forward to revisit Oliva’s other offerings from the Nub line-up. 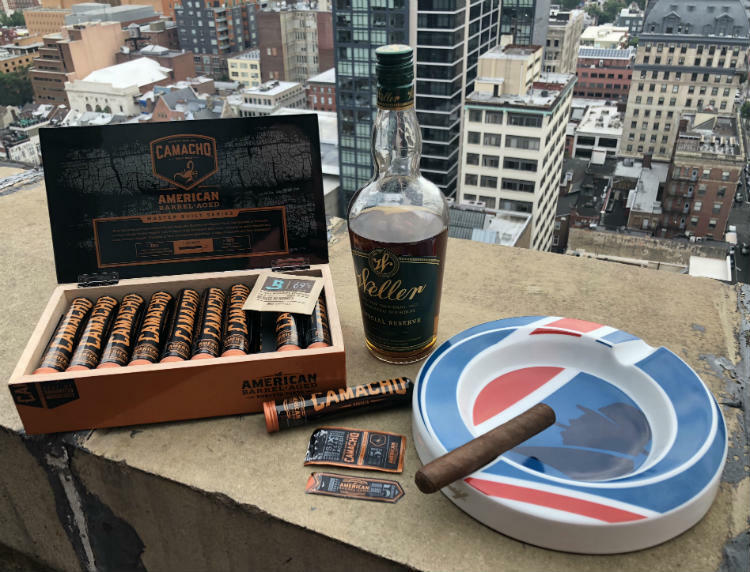 Therefore, it seemed only logical to review their second offering following the Connecticut, which was the Nub Habano. Use the links above to jump or ahead or keep scrolling to read it all. As explored in the previous review as well as their dedicated brand page, Nub has garnered both a name and a following for itself thanks to its unique approach in cigar construction. Instead of proving you the longest cigars possible, they’ve cut them down in order to provide a larger ring gauge. This has become a firm favourite among many cigar enthusiasts as you supposedly get the enjoyment of a Churchill without having the smoke the first third to get to rich flavours. Indeed, Nubs are quite unusual with their oddly-proportioned 4″ length and 60 RG. Furthermore, it would seem that Nub have acted as a catalyst by popularising the Gordito vitola as we’re starting to see the same from other brands too! The Nub Habano is the brand’s second offering following the success of the Connecticut. Drawing inspiration from the original’s creaminess and easy-going flavours, the Habano seeks to be a more complex and flavoursome experience. Nub’s Habano features a mid-brown sun grown wrapper with a dark toffee-like colour. The body is firm and not particularly springy with an impressively evening rolling consistency throughout. Taking a deep whiff, I picked out subtle notes of salted caramel, cedar as well as leathery labdanum. Like every cigar review, the write-up usually follows after having smoked a few of the same cigar in order to look our for any anomalies. After all, cigars are handmade products and despite good quality control, there may be a few differences. After cutting the cigar, I experienced a mild resistance when taking the pre-light draw. This was excellent to my tastes as I don’t appreciate any tightness in a cigar. As for the aromas, I could pick hints of spices but mostly cinnamon. Meanwhile, there were notes of salted caramel as well as a faint suede leather scent. The initial plumes of smoke are amplified in comparison with the Connecticut and provide larger clouds. 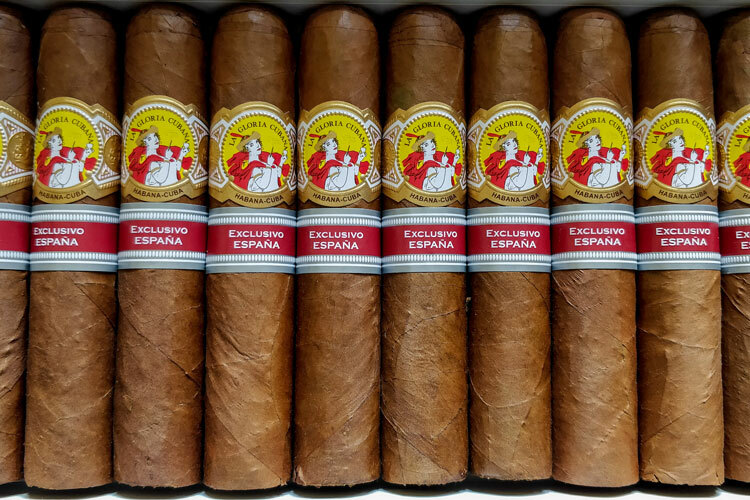 Starting out as a very intense and spicy smoke, the Habano quickly settles into a subtle and flavoursome smoke after about a quarter of an inch. Its opening notes are indeed more complex and nuanced than the Connecticut but I’m able to pick out some flavoursome cedar as well as roasted nut. Overall, it’s quite woody, with a sweet taste reminiscent of fig tree sap. However, it’s quite creamy without much bitterness. On the retro-hale, there’s a very subtle note of leather. However, this becomes more prevalent towards the end of the first third. Once well into the second third, I found that both the nutty and woody notes subsided in favour of clay and suede leather. However, the cedar was still present but developed a certain creaminess on the palate. As for the clay, it was quite similar to dried earth that you’d expect in a vineyard on a hot summer’s day. Meanwhile, the suede leather is quite faint with a soft texture that you’d expect from the material in your hand. In the final third, the flavour developed once more in a very subtle and almost imperceptible way. Most of the notes from the second third slowly dissipated to reveal the smooth caramel and leather accord set over an oak foundation. Whilst the caramel was reminiscent of the first third, it was as salty but sweeter and creamier than before. As for the leather, it had darkened to a Cordovan shade with a musty straw aftertaste in the retro-hale. Finally, the oak flavour developed only a hint of pepper as I began to burn my fingers near the end of the cigar. Although not to the same degree as the Connecticut, the Habano’s ash backbone was very resilient and gave me some excellent stacks in the first and final thirds. Its colour was an attractive steely grey bordering on white. Meanwhile, the burn was quite even on most of the cigars. However, I’d get the occasional spot that refused to burn down, which lead to a slight canoe in the first third. I would correct these but it didn’t happen regularly. meanwhile, the temperature of the burn was very cool, no doubt possible thanks to the tall ash and wide gauge. The Nub’s draw was mild throughout the smoke and remained consistent. Finally, the smoking time came in at around 45 minutes at a regular pace. I find the Habano to be perfect throughout the afternoon and it goes well with cool refreshments for an afternoon break. Admittedly, I have a penchant for Diet Coke and found that this actually pairs particularly well with the Habano’s leathery and earthy tones. When winding down, I also find it a very enjoyable cigar to pair with a well-balanced Highland Single Malt whisky. Otherwise, I’d consider a refined dark rum to accord with caramel notes in the second and final thirds. Starting with the box, the Habanos come delivered in a wooden crate-like container that looks like it should be illegally shipping booze. The lid slides open to reveal several rows of the cigars. I find the box to be somewhat on the light side and quickly placed them in proper storage since the wood wasn’t lined. As for the band, it’s very similar to the Connecticut but features a colour matching the wrapper rather than creamy beige. I do really like its subtle and modern design, which is quite unique compared to more ornate bands. It’s also very easy to remove, which is convenient given that it could be quite fiddly on a cigar of this size. Finally, the Habano offers great value for money. Whilst it retails around the $7 mark, I’ve often caught it discounted on sale and picked them up at less than $5 a stick! When Should You Smoke A Nub Habano? As mentioned earlier, I find the Nub Habano to be excellent for the mid to late-afternoon. It’s a flavoursome experience with complex sweet and savoury notes that is perfect for a medium-bodied cigar. For me, I find this to be a nice casual smoke rather than something to reserve for a special occasion. I’ll happily enjoy one with friends including my colleagues on the BU team who are partial to Nubs as well. When it comes to formal occasions, I tend to prefer more orthodox cigar vitolas. Nevertheless, I doubt it would be frowned upon and I am also known for my preference towards larger gauges. Overall, I really do like the Nub Habano. If find that it’s a great middle of the road alternative between the Nub Connecticut and Maduro, which we’ll be reviewing soon. Whether your a beginner in cigar smoking or a seasoned veteran, this is a very pleasant smoke without any challenges. What’s particularly great is that you can either simply enjoy it and relax or go deeper to explore its rainbow of flavours if you prefer. "A Well-Rounded & Flavoursome Cigar. 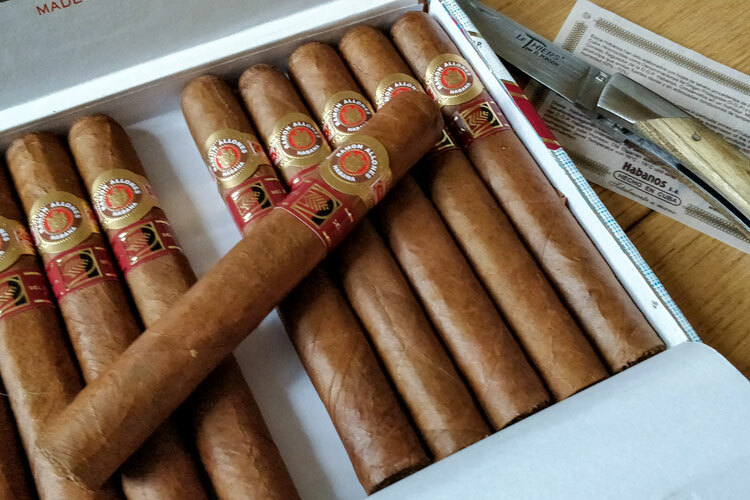 Despite its medium intensity, the Nub Habano is bursting with flavours." Great summary of the Nub Habano, Paul! After having tried a Connecticut following your review, I’ll have to test this one too! 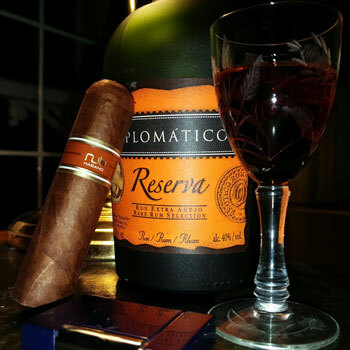 This is a well-written review that nicely reflects the cigar’s experience. Excellent! Thanks, Alex! Keep your eyes open for a Nub Maduro review that’ll be up in just a few hours!